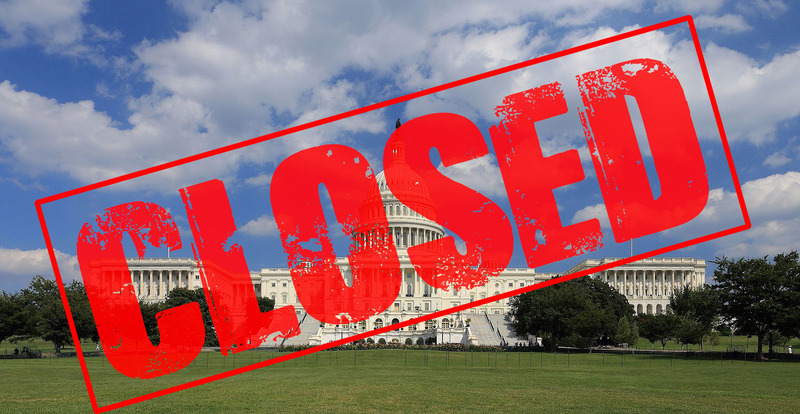 In December 2018, the government entered the longest shutdown in history. The shutdown was over President Trump’s demand for funding for a border wall be added to a spending bill. When the then GOP-controlled House refused, it started a chain effect. As a result, President Trump decided to put the government into a partial shutdown. When the 35-day shutdown was finally over, President Trump tried to come out of the situation acting as if he didn’t cause serious damage to the country. I personally feel that the government shutdown showcases how out of touch President Trump is with the American people. Over the course of the shutdown, President Trump tried to make it seem that majority of the country wanted to waste 5 billion dollars on border wall. He apologized to federal workers about their situation, but his apologies meant nothing to the almost 800,000 workers that were forced to suffer because of his incompetence. Over and over, the president made the claim that the federal workers were in support of his stance. This shutdown really showed the country that President Trump lives in an alternate reality bubble, as he is unwilling to see the horrible effects of his policies. Although the shutdown is over now, its effect still has lasting consequences for the country. The US economy lost more than 11 billion dollars during the shutdown. It is terrible that all this chaos was a result of one man’s attempt to follow through on a promise that was impossible to keep from the moment the statement left his lips. If the president was so concerned about building a border wall, why wasn’t the issue brought up at the beginning of his presidency? The president had two whole years to try to get funding for a border wall. Instead, he decided to focus on unnecessary tax cuts and taking children away from their families. I feel that the only reason President Trump even cared about the border wall was to use it as a tactic for a re-election campaign. It was supposed to show proof to his base supporters that he could follow through on his over the top promises. Luckily, all this shutdown did for President Trump was lower his approval numbers and further damage his image in the country. In conclusion, the country should never get to the point where one man can cause so much chaos because he wants to look good. People like President Trump need to be held accountable for their crazy policies. We need to stop blowing President Trump off as a funny man. It is not funny that 800,000 workers had suffer because of the president didn’t get money for an unless border wall. It is not funny that almost 13,000 migrant children are being held in dentation centers because the president wants to punish people for wanting a better life. We, Americans, need to stop turning an blind eye to the problems that are threatening the very core foundation of our government. It is not funny, and it never will be. I’m not against anyone coming into America, but just do it the right way. Go through the right procedures and enter the country legally not illegally. Do I agree with President Trump tactics? No, but I understand that we do need to monitor and know who is coming into our country to ensure the safety of the American people. Should we expect another government shutdown? Yes. I don’t believe this is over. Our country, the people who are in charge of running our country all need prayer. The Bible tells us to pray for those who have authority over us and this includes President Trump. Calling one another names and going back and forth has not and will never accomplish anything, but God can do all things when we as a nation will humble ourselves and pray. To say that the President decided to focus on unnecessary tax cuts and taking children away from their families. I believe is not quite in focus as to the actual facts. If you want to go back and look at where this taking children away from their families all started you will need to go back to the Obama Presidency. And please remind me when a tax cut has ever been unnecessary and what it was for? I know you’re writing a column for a school paper but to you need to get your personal bias out of it first then write the facts as they are not as you want them to be. I know that a government shutdown no matter what the reason is never a good thing but in today’s world if you’re working for the government you have to have at minimum three months of your pay put back in case of a situation like this. This has been stated by every government employee I have ever had the pleasure of knowing and working with. Having been in law enforcement for just shy of 20 years has given me the opportunity to know more than a few and I’ve seen more than I like from our government. I do not believe that Trump wants to look good. To be honest I don’t think he gives a rats a** as to what we think about him. Why would he? He isn’t getting paid for what he does. It all goes to charity. He was MORE than well off before he took office and his unmatched economic growth for our country alone has for some unknown reason been over looked by almost every one of his critics. It’s easy to beat someone down who you are not a fan. Lord knows I can spin a few yards about our last president. But thanks to his successor some of the damage has been repealed. Even if he isn’t reelected we cannot afford to go back to the pendulum swinging over our heads. well honestly i don’t think that the government lost 11 billion dollars in that time frame and i think you just got this news from abc and didnt do any research because in another liberal source they stated that for every week that past the government lost 1.2 billion dollars and if you times the by 4 or even 5 that is no where close to 11 billion dollars and well the democrats knew that if Donald trump went ahead with building a wall that they will not win the next election, so the democrats will do anything just to see the country go down to ashes if it means that they will win next election. you can see that the democrats don’t want to do what he says because they’ll lose is when Trump was trying to make a deal with them and they had no answers and just said no because they were dumbfounded. and i mean id rather have him than someone that supports abortion. and Obama has been separating families for the longest since the year he went into office. Trump didn’t have time in his first 2 years to deal with the wall because he was busy fixing Obama’s mistakes like the iran deal and other stuff. I agree that the president should be more aware of his own actions. This was a every insightful article. Definitely a good read. This article is very biased. I myself am glad the shutdown happened. It allowed everyone on both sides to see the others point of view. It was a two party shut down and not only a “Trump shut down”. Trump asked for funding to complete a campaign promise that got him elected. Low and behold, suddenly the democrats that signed off on the current wall construction, have a problem with more wall construction. The wall has been in process of construction prior to Trump. Trump just wants to improve upon the Democratic idea. And lets not forget all the pre-existing issues with the border detention systems and facilities prior to 2016 election. Unless you think they were built over night, Barrack Obama who did so much, did nothing about them. I agree with what you said about why Trump cares about the border wall.